I think it’s safe to say, Mexican pinwheels are a Tondryk family tradition. My mom has made them since I was young and she continues to make them for gatherings. They are also a staple at our annual Christmas Eve appetizer meal. I’ve incorporated them into my appetizer repertoire and have shared them with my friends when I’ve hosted parties. I’ve simplified the recipe a bit from my mom’s original, but the base mixture is the same; I’ll share some optional ingredients that my mom uses and can be added if you desire. Before you begin, take out a package of cream cheese and let it sit at room temperature for a good 15-20 minutes. It’ll be much easier to work with when it’s softened. In a small bowl, combine the cream cheese , one cup of sour cream, and one packet of taco seasoning. 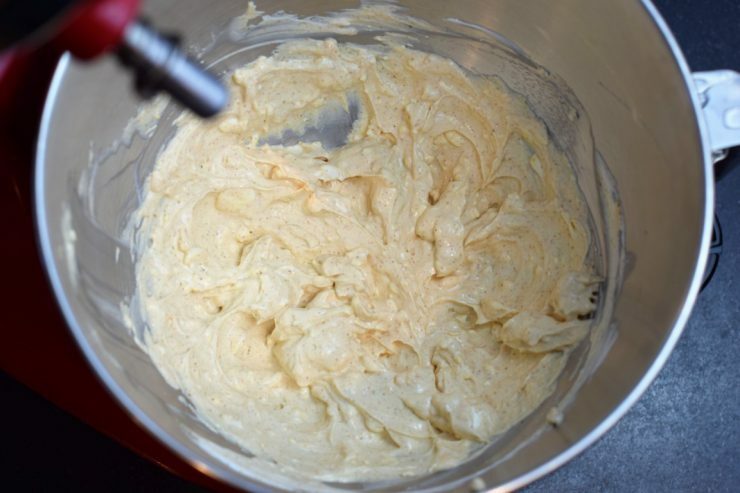 Mix well until all three ingredients are combined and the mixture is smooth. If the cream cheese doesn’t sit out at room temperature before beginning, this step can be difficult (unless you’re using a mixer). Add 1 cup of shredded cheddar cheese. 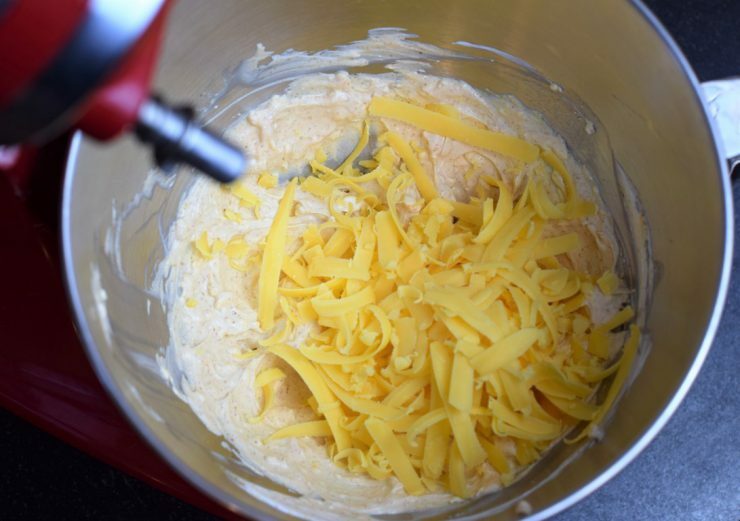 I always buy blocks of cheese and shred my own, but if you are buying a bag of shredded cheese, a good option for this recipe is the Mexican blend. At this point, you can add in chopped onions, minced garlic, green olives, black olives, or any type of chopped peppers – red, green, or jalapeno. Like I said, I make the simple version, but I’ve enjoyed many pinwheels with some of these ingredients as well. Next, lay out tortillas and place a heaping spoonful of mixture onto each one. 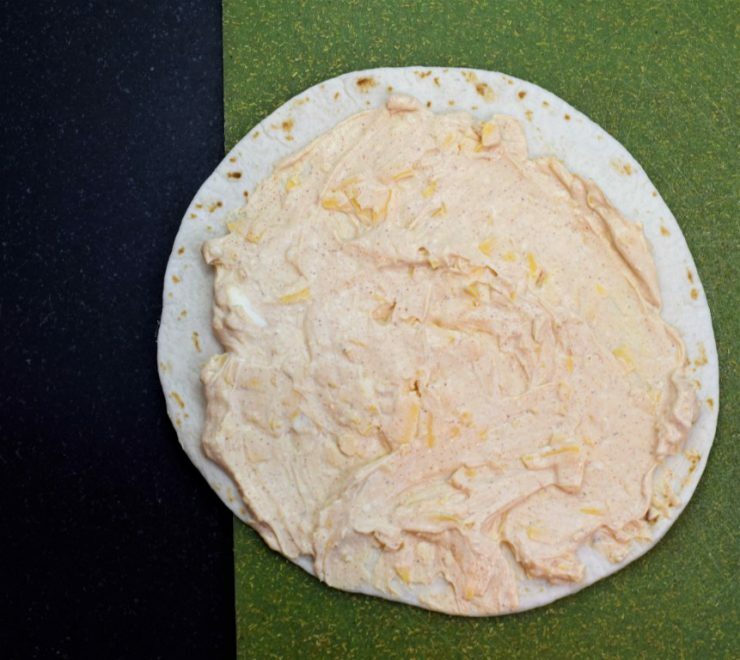 Spread out the mixture to cover the entire tortilla, leaving a little room near the edges so you can roll them up easily. Aim for the mixture to be about 1/4 of an inch thick. Roll up each tortilla to enclose the mixture. Place seam-side down on a plate, cover, and refrigerate for at least 30 minutes. Note that you can make these up a day in advance. 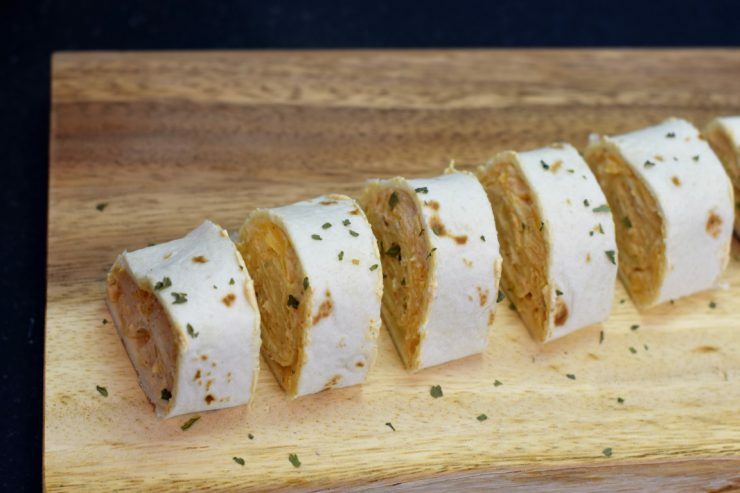 Store them in roll form overnight in the refrigerator and wait to slice until you’re ready to serve so they don’t dry out. 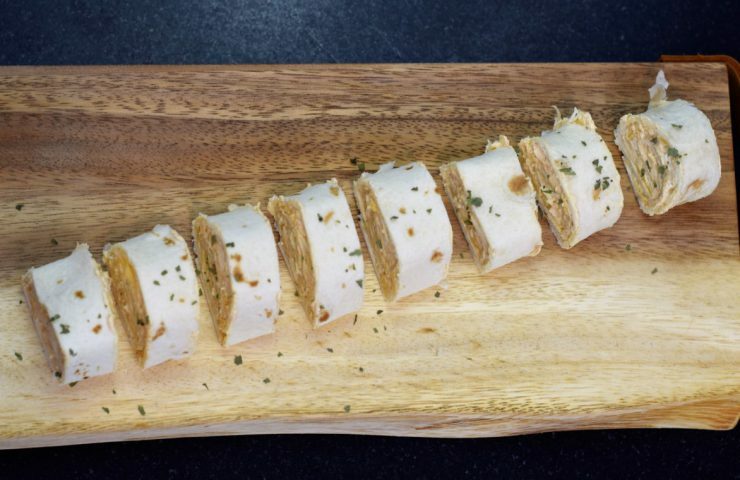 Using a serrated knife, carefully slice each rolled tortilla into 1/2 inch thick pieces. Transfer to a serving platter and set out for your guests to enjoy! This recipes makes about 5 to 7 rolls of pinwheels. Let cream cheese sit out at room temperature and soften before beginning. In a small bowl, combine cream cheese, sour cream and taco seasoning. Mix well until the ingredients are combined and smooth. Add in cheddar cheese and mix. Scoop mixture onto tortillas and spread out into 1/4 inch thick layer. 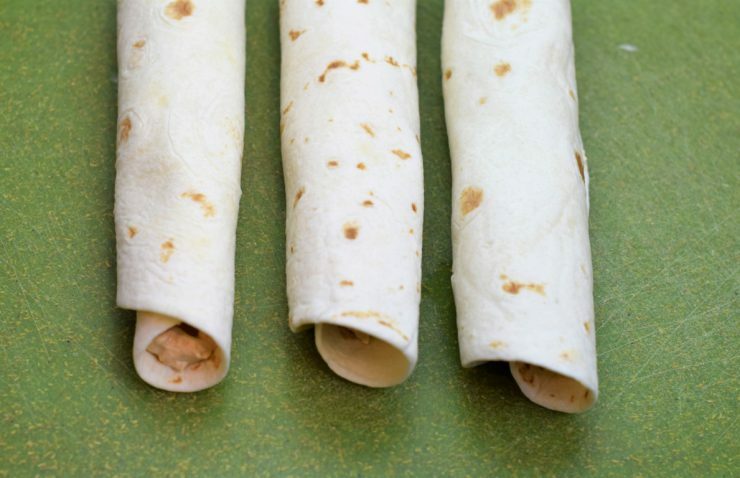 Leave a little room near the edges for rolling. 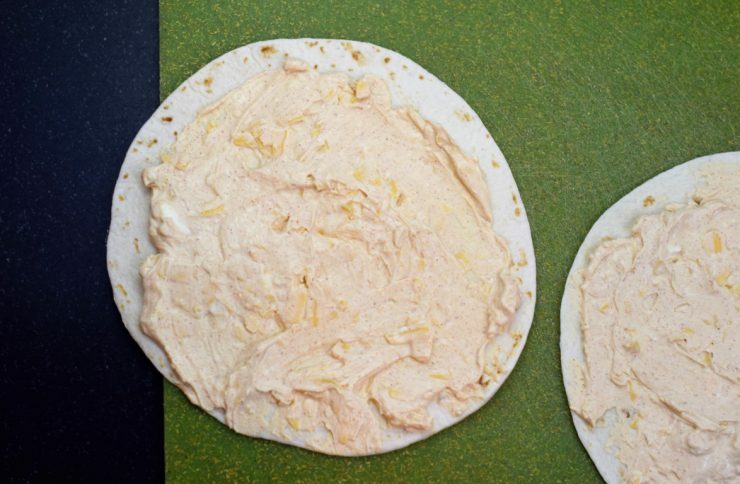 Roll up each tortilla and place seam side down on a plate. Cover and refrigerate for at least 30 minutes. 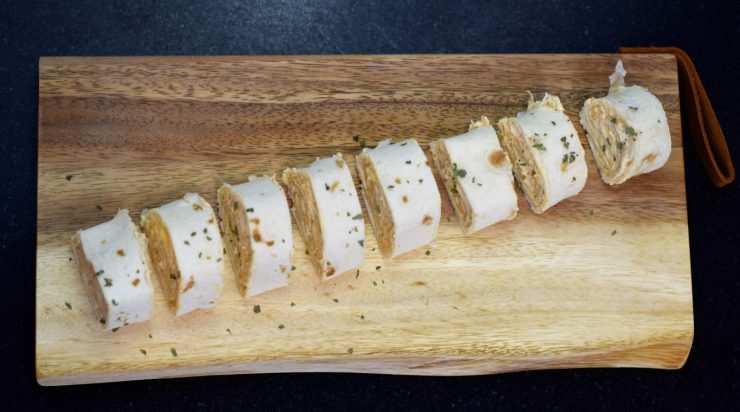 Transfer to a cutting board and using a serrated knife, carefully slice the roll into 1/2 inch thick pieces. Arrange on a serving platter and enjoy! Makes about 5 to 7 rolls of pinwheels. These can be made a day in advance. Keep in the refrigerator and slice right before serving.